BRIDGEPORT— Bishop Frank J. Caggiano, Fifth Bishop of Bridgeport, and Foundations in Education recently hosted the 2nd Annual Leaders of Tomorrow Breakfast Reception at the Catholic Center in Bridgeport. More than 160 turned out to honor the 44 young Catholic school students who were selected as Leaders of Tomorrow. 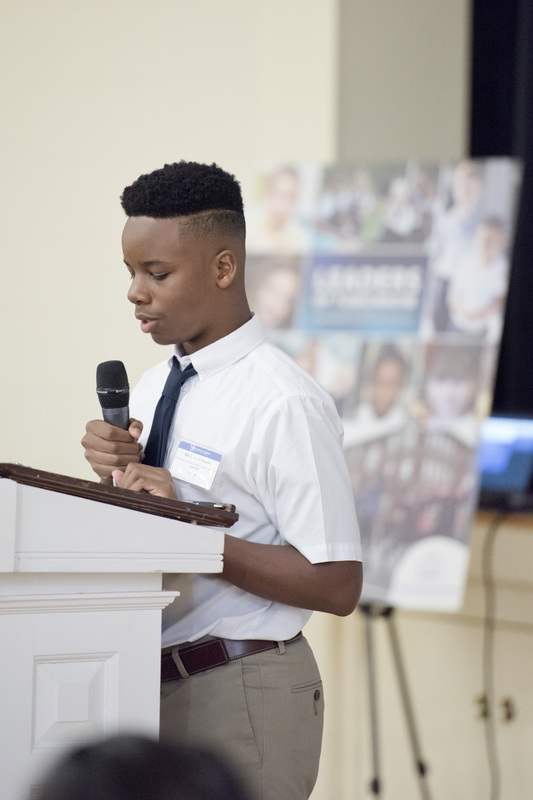 Leaders of Tomorrow is a unique program of the Bishop’s Scholarship Fund, which provides need-based scholarships to students in Catholic elementary schools who are identified by their principals as students of good character, academic promise and leadership potential. Donors to the program transform the lives of children through the gift of Catholic education. The reception brought together students, their families, principals and the donors who sponsor a portion of their tuitions. 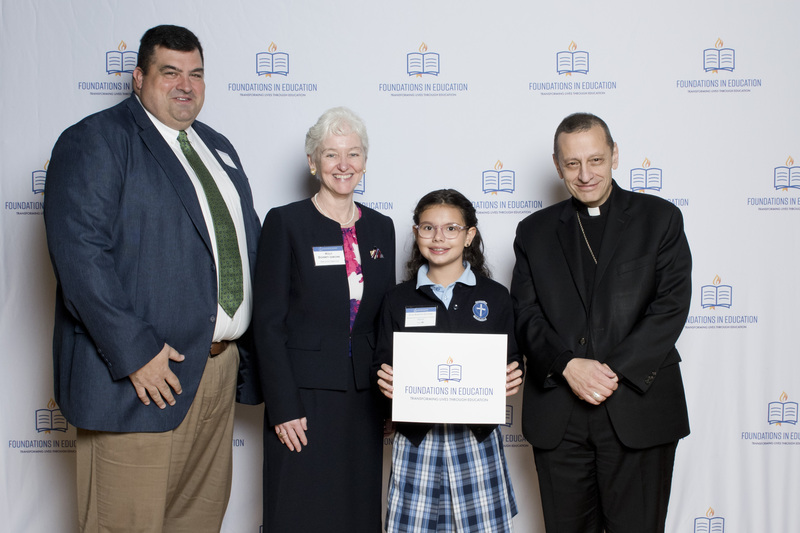 Among the scholarship recipients was Julia Basseto-Oliveira, a sixth grader at Assumption Catholic School in Fairfield, who was accompanied by her parents, Priscilla and Marlon, and her principal, Mr. Steve Santoli. There are currently 21 donors sponsoring 44 students in the program who may otherwise be unable to attend Catholic schools.